This year’s event is promising to be huge, with Serenity and Dr Horrible on the big screen. As usual, we have two options for you to buy your tickets – online or at the door. Both tickets are the same price, so why should you get them online? Here are some reasons for you. While we have not (yet) sold out a venue, we’ve come pretty close. The Village Roadshow Theatrette has 200 seats, similar to last years venue. We had around about a 50/50 split of pre-paid and at-the-door last year, which was great. This year, however, the amount of pre-sales is indicating that we may sell out on the day and have to turn people away. One of the main pieces of feedback from last years event was that pre-paid didn’t get priority entry, and had to line up in a mixed queue. While we are nothing like the bigger events, we understand what you’re saying, so this year pre-paid ticket holders will get in first. Seating will not be allocated, so pre-purchasing will let you pick the seat you want first. Plus, you will get to peruse the NMB Outfitters booth before anyone else! This year we have an exclusive door prize for pre-purchased tickets only. There will not be a door prize for pay on the day, so this will be your only chance to win these great items. 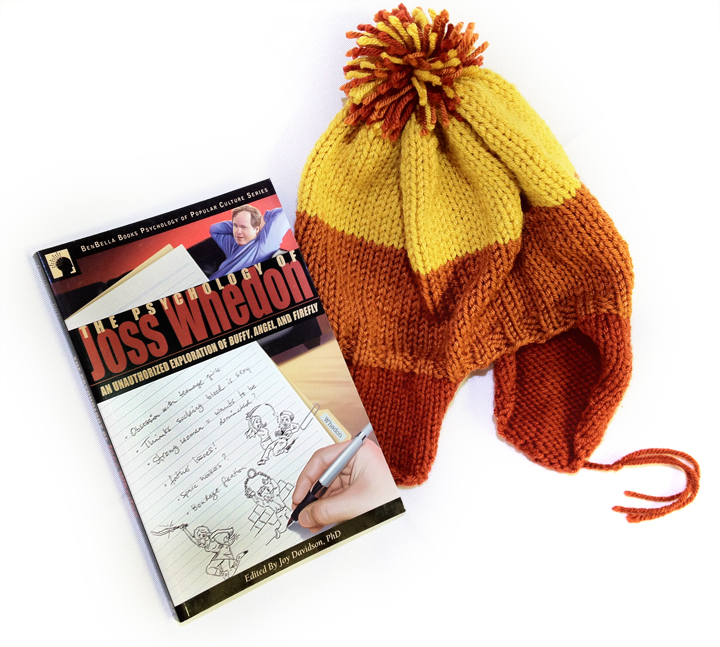 We have a copy of The Psychology of Joss Whedon: An Unauthorized Exploration of Buffy, Angel, and Firefly (Psychology of Popular Culture) thanks to Smart Pop Books, and a Jayne Hat thanks to The Verse Costuming Club. So why not head on over to bit.ly/csts2012 and pick up your tickets sooner rather than later, and get in the draw for the fantastic door prize. Don’t forget the NMB Outfitters booth, where we will have our very own, Melbourne made Jayne hats for sale (only 15 available!). See you there!